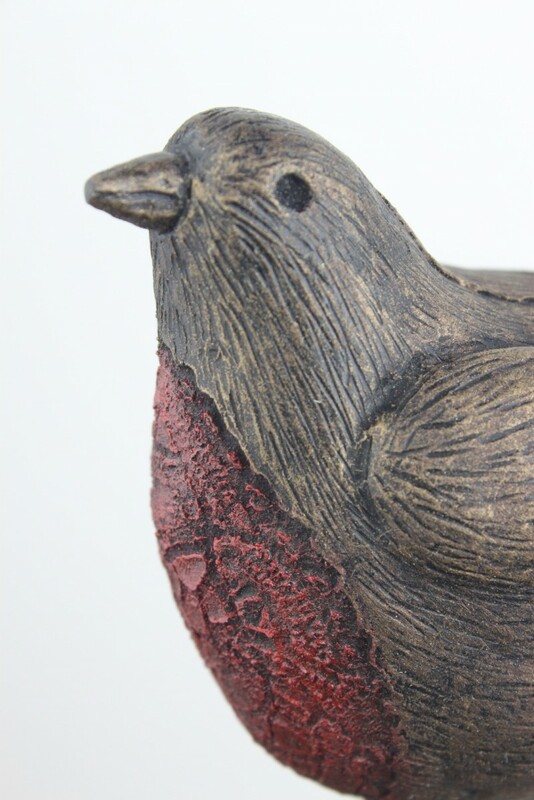 A delightful cast robin with red lace imprint breast. 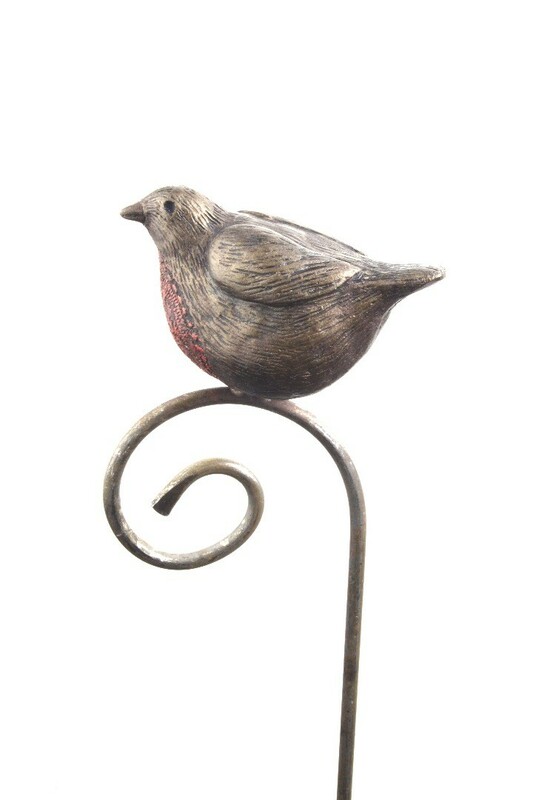 Mounted on a scroll top pole. 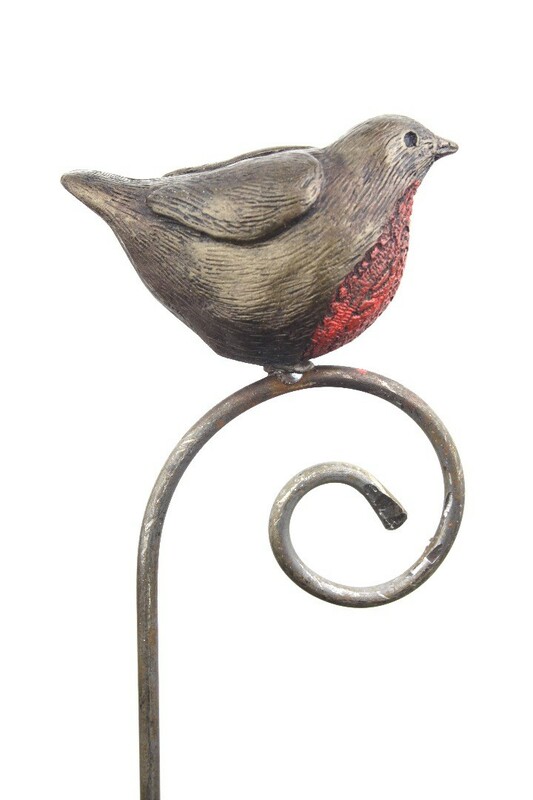 Fully frost proof designed to be outside all year. 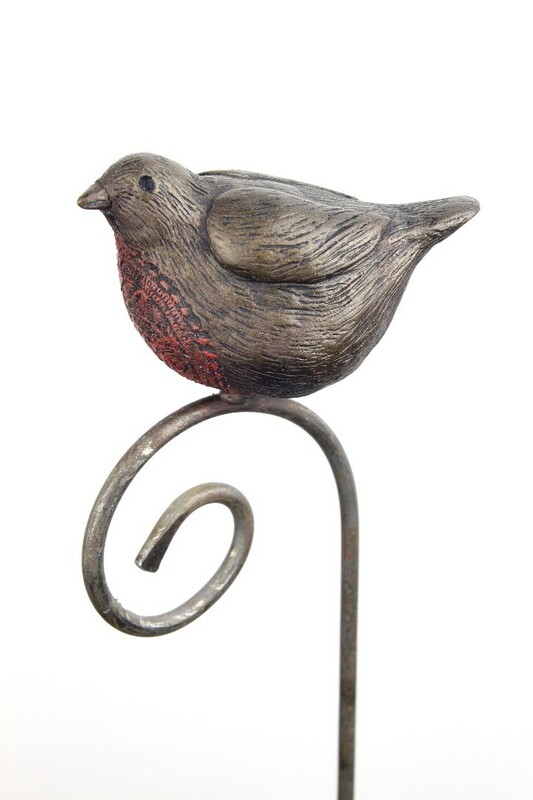 This product is supplied with a bare metal pole it will be sent to you looking grey in colour but when placed outside it will oxidise to produce a lovely soft brown colour that will look stunning against the bronze colour of the bird and the garden foliage around. 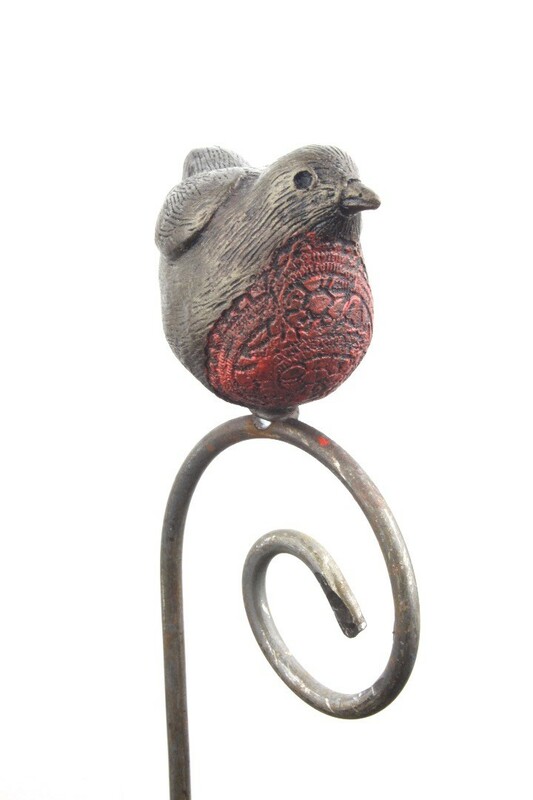 It will look great perched in your garden for many years.